You’ve heard that taking probiotics is good for gut health but what more should you know before taking any? Learn everything about probiotics and the best probiotics supplements in this extensive buyer’s guide and review. There are trillions of bacteria and yeasts that exist in your gut. They are usually balanced by the good and bad microorganism, which not only preserve your gut health but also your mental health. Probiotics are microorganisms that make your gut healthy and a shift of balance favoring the bad microorganism may trigger anxiety. Not all probiotics that are making your gut healthy have the same effect on your brain. Another study has pointed to Lactobacillus helveticus and Bifidobacterium bifidum to have a major positive effect on the mental health of humans. Indigestion Or Diarrhea – When the balance of the bacteria in your gut is disrupted, foods are not digested properly and you’ll end up with gas and possibly diarrhea. Craving For Sweetness – If you’re constantly popping candy on the go, or emptying packs of sweeteners into your espresso, it could be a sign that bad bacterias are ruling your gut. Bad bacterias produce proteins that trigger sugar craving. Constant Lethargy – When you’re struggling to find that energy you need for your daily chores, it could be a warning sign of an unhealthy gut. With foods not broken down properly, your digestive system will not be absorbing the nutrient effectively. Bad Breath – If you’re still having complaints of bad breath after thoroughly brushing your teeth and gargling with mouthwash, the source of the odor may lie deep in your gut. Skin Diseases – A poor gut health is also known to be the causes of skin diseases like eczema, acne or flaky skins. Most of us would agree that taking probiotics is beneficial at least for the immediate gut health and its related complications. What you may not realize is how probiotics can help improve your health that are beyond the digestion systems. Reduces Anxiety – This is one of the main reasons why people suffering from anxiety turns to probiotics, particularly the Lactobacillus helveticus and Bifidobacterium bifidum. A clinical research has shown that an unhealthy gut system leads to negatively affecting the brain region that is responsible for stress and anxiety. In short, the lack of probiotics in your gut cause you to get anxious. Boost Immune System – It has been proven that probiotics help to boost your immune system when taken regularly. It’s a great way to prevent yourself from catching colds easily. Prevent Inflammatory Skin Diseases – Probiotics helps to ensure that your immune reaction is well-balanced and prevents your body from over-reacting to allergen. Maintain Gum and Teeth Health – Your gut is not only the residence of an almost infinite amount of bacterias. Your mouth also houses countless bacterias and a healthy balance can be achieved by probiotics to avert gum diseases and tooth decay. Probiotics supplements are living microorganism and they are easily destroyed by the acid in your stomach. Like any living organism, it also thrives when there are enough resources like food and water. Therefore, you’ll want to avoid taking probiotics supplement the first thing in the morning. When you’re yet to replenish yourself with breakfast, the chances of the probiotics surviving are pretty slim. It’s also a bad idea to take probiotics on an empty stomach and right before your meal. The acids in your stomach will ensure that the good bacterias are destroyed before they even reach the intestinal tract. Probiotics supplement are consumed for various health reasons. There supplements market are saturated with probiotics from different brands. Here are some considerations to be made when choosing a probiotics supplement. Probiotics strain – There are various probiotic strains and they have different effects on human’s health. The Lactobacillus and Bifidobacterium strains are most beneficial for humans. Cultures Concentration – Each serving of probiotics supplement are measured in Colony Forming Units (CFU). 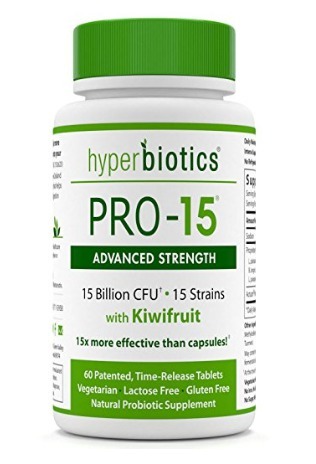 10-15 billion CFU is the common minimum requirement for the probiotics to have any positive effects on your gut health. You’ll also want to consider other features, such as delayed-release capsules, gluten-free, and non-GMO compliance. Avoid going for the lowest-priced probiotics. Instead, choose one that is supplied by a reputable brand. You can buy probiotics supplements at your local pharmaceutical outlets or from online health products websites. If you prefer to shop online, Amazon is a great option to shop. You get to read all the reviews before making a purchase and enjoy free delivery. If you’re not happy with the supplements, you can get it returned and refunded. If you prefer not manually checking out the hundreds of probiotics supplements available online, you can use this list to aid your buying decision. 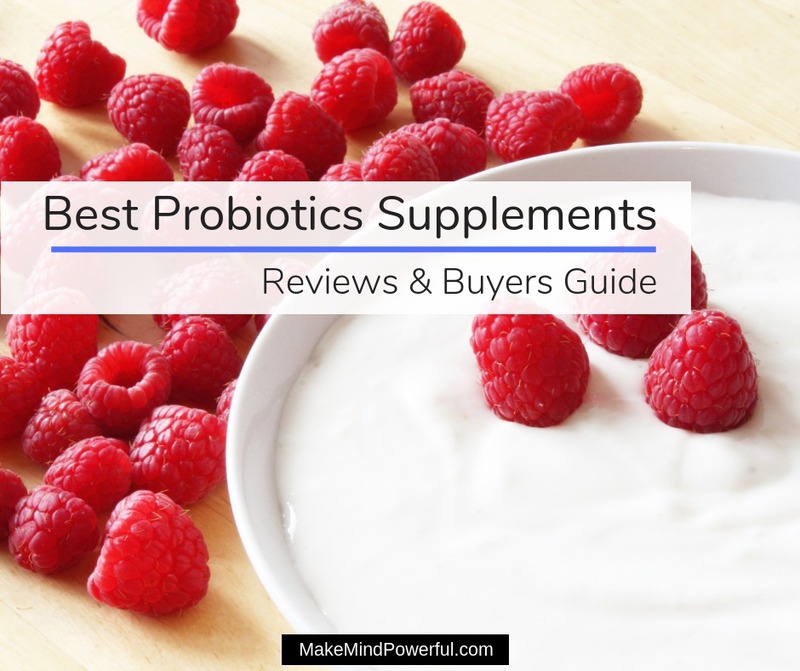 I’ve carefully shortlisted some of the best probiotics supplements that have enjoyed favorable reviews from customers and supplied by reputable manufacturers. 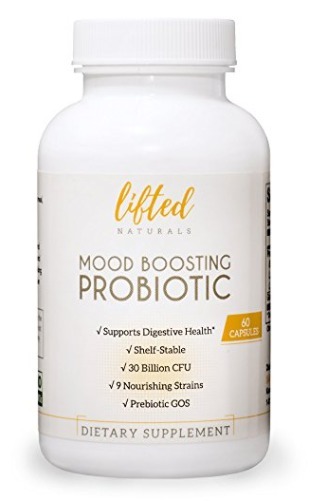 This probiotic supplement contains specific strains that are helpful in enhancing your mood. It has the right balance of good bacteria that help you relieve symptoms that are related to a poor gut health. If you’re suffering from acid reflux or irregular bowel movements, you should start taking this on a daily basis. The capsules have a concentration of 6 billion CFU. If you’re taking it for anxiety, you’ll need to take 3 servings to get the minimum dosage required. Else, a single serving will be sufficient for maintaining your gastrointestinal health. Most good bacterias in probiotic supplements have a low survival rate. With a patented time-release BIO-tract® system, each of the capsules has the ability to deliver 15 times of good bacteria to your intestinal tract. The same formula ensures that harmful bacterias are expelled from your gut system as well. The probiotics are cultured and manufactured in GMP certified manufacturing facilities in the USA. The ingredients used in the process are non-GMP and free from chemicals and artificial additives. 6 of the most effective strains are used in making the probiotics. With a proprietary process, the probiotics have a relatively long shelf life of 18 months with at least one-third of bacterias remaining during the end of the expiry date. Time-release capsules to ensure good bacterias survival rate. 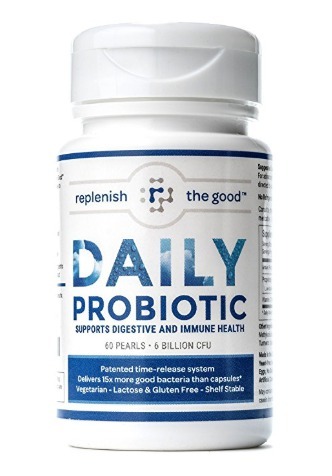 Uses 6 top probiotic strains. 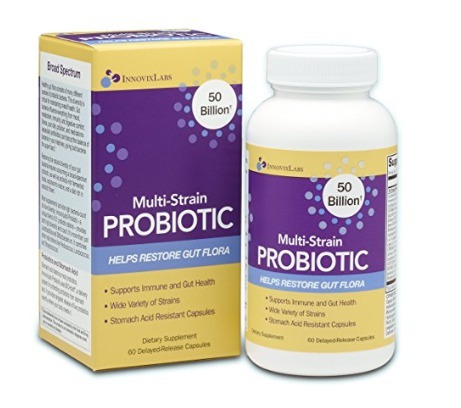 This is a truly unique probiotic supplement that is highly effective despite its lower bacteria count of 900 million CFU. Unlike other brands, Dr. Ohhira’s probiotics are not cultivated in the lab. Instead, the probiotics are made of natural ingredients like fruits, vegetables and mountain spring water that are fermented for 3 years using 12 different strains of good bacteria. The proprietary formula behind the probiotics ensures that your digestive health is boosted by the perfect blend of good bacteria. The supplement has been proven effective for over 20 years and is available in more than 10 countries. Numerous academical studies have also confirmed the superiority of the formula. What truly makes this probiotic special is the post-biotic compounds that are contained in the capsule. They are metabolites produced by the bacteria during the 3 years of natural fermentation and provides a wide range of health benefits to the body. 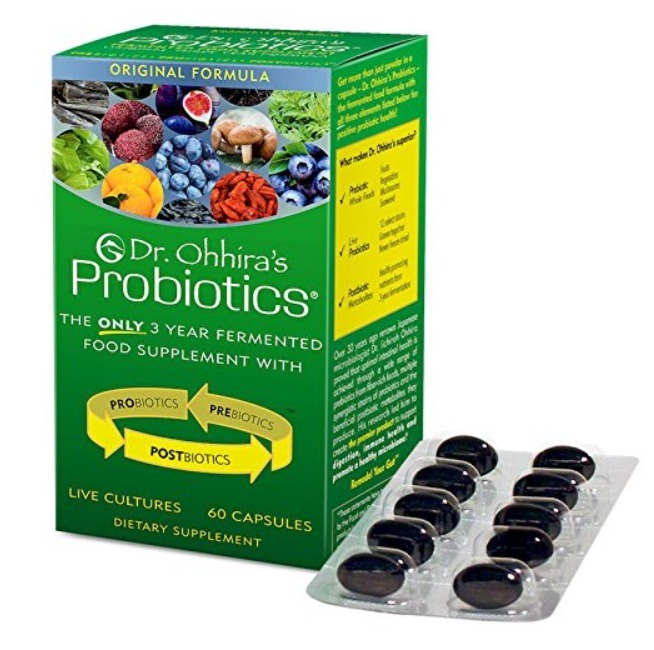 In the case of Dr. Ohhira’s probiotic, the quality of the formula is definitely more important than the number of bacterias indicated by the CFU. It is arguably one of the best probiotics for helps stress and also boosts the overall health of thousands of loyal customers. Due to its natural fermentation process, the probiotics have an extremely long shelf-life of up to 3 years, without requiring refrigeration. It’s rare to suffer from any side effects from this probiotic, even for those who have extremely sensitive digestive systems. Uses 12 different strains of good bacteria. Highly effective despite low CFU. A shelf life of up to 3 years. 20 years of proven track record. Not the cheapest probiotics around. This probiotic is specially created by Dr. Perlmutter to enhance emotional well-being and reduce stress. It contains two of the most effective strains in doing so, namely the L. helveticus and B. longum. The formula is further enhanced by organic ashwagandha and Alaskan blueberries that helps in mood regulations. It is proven that your gut health does affect your mental health, and in certain cases causes stress. 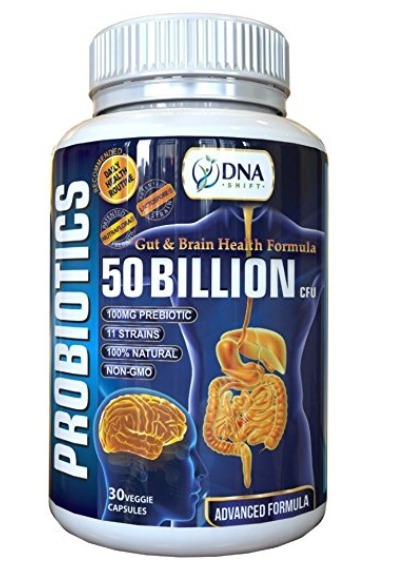 Each of the capsules contains at least 50 billion live bacterias that help to regulate your gastrointestinal health. To help to reduce stress, you can take 2 capsules a day for the best effect. They can be taken with or without food or you can consume the probiotics with raw juices or plain water. Each batch of supplements is tested to ensure no GMOs are present when they are delivered to you. This shelf-stable version of Mood+ probiotic ensures the capsules are well-preserved from moisture with a BPA-free, desiccant-lined bottle. As long as you’re storing the bottle in a cool and dry area, the probiotics will have no problem lasting to its specified expiry date. When you’re struggling with indigestion, skin problems and stress, a multi-strain probiotic supplement is a welcomed option. With 31 different strains, this probiotic supplement by InnovixLabs does more than lifting up your mood. Consuming the capsules regularly helps to boost your immune system, improve metabolism and of course, prevents inflammation-related skin problems. Besides the popular Lactobacillus and Biffido bacteria, the capsules contain strains from Pediococcus, Lactococcus, and Streptococcus. The capsules are made to have targeted release effect. This means that the benevolent bacterias will survive the acidity of your stomach and efficiently released on your intestinal tract. This ensures maximum efficiency from the 50 billion CFU per serving. To ensure our gut flora is balanced and healthy, the probiotics are cultured in USA, Italy, Germany, and France before undergoing strict testing and packaging in a cGMP certified facility. They do not require refrigeration as storing in cool and dry areas will suffice. Targeted release effect to prevent acid destruction. May cause digestive discomfort for some consumers. 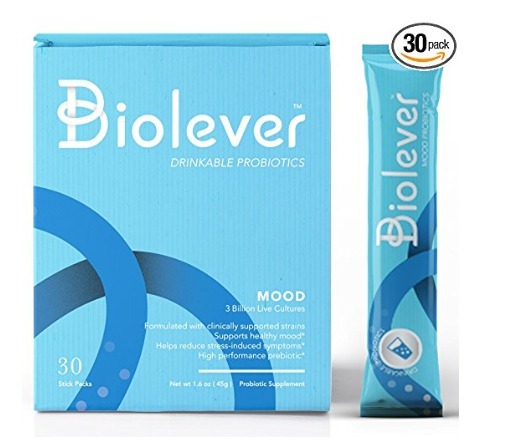 If you’re not a fan of swallowing probiotic capsules for the sake of your gut health, the powder forms offered by Biolever is a better option. Each of the packets contains 3 billion live cultures that are specially formulated to target specific problems in the body. The individual packs are suitable for you to consume in your workplace. They are flavorless, sugar-free and low calorie. Drinking from a single stick-pack daily will help to keep you calm despite the piling stress at work. Despite the powder form, the probiotics are microencapsulated with proprietary ProbioCap® technology to significantly increase the resistance against stomach acidity by more than a thousand times. This means that the good bacterias will survive and reaches the targeted areas in the gut. Besides live cultures, the individual pack also contains prebiotics, which serves as nourishment for the bacterias. This increases the efficiency of the probiotics when consumed on a daily basis. Laboratory test and clinical studies have affirmed the positive effects of the probiotics. Easy to swallow powder form. Acid resistance with microencapsulation technology. Relatively expensive and low count of CFU. 6. 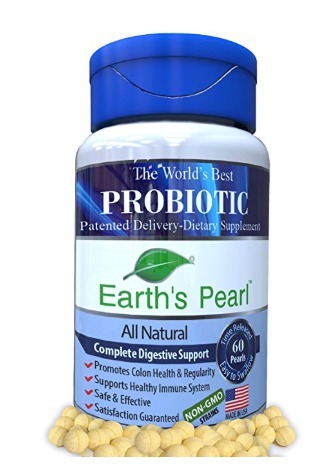 Probiotic & Prebiotic Supplement by Earth’s Pearl Probiotics. Gas pains can be pretty uncomfortable and a clear sign of an unhealthy gut. It wouldn’t be surprising that you are not at your brightest mood either. This probiotic supplement from Earth’s Pearl is meant to provide the relief both mentally and physically. It contains probiotic strains that are both supportive to gastrointestinal and mental health. They are made into pearl form to ensure easy swallowing. The pearls are made with a patented time-release technology. This ensures the good bacterias escaped the acidity of your stomach and landed on the gastrointestinal tract. The probiotic is made in the USA and is non-GMO. The quality of the live cultures is ensured by third-party audits. It has been tested and proven to improve digestion. When consumed on a daily basis, you’ll find yourself deriving more energy from food intake. 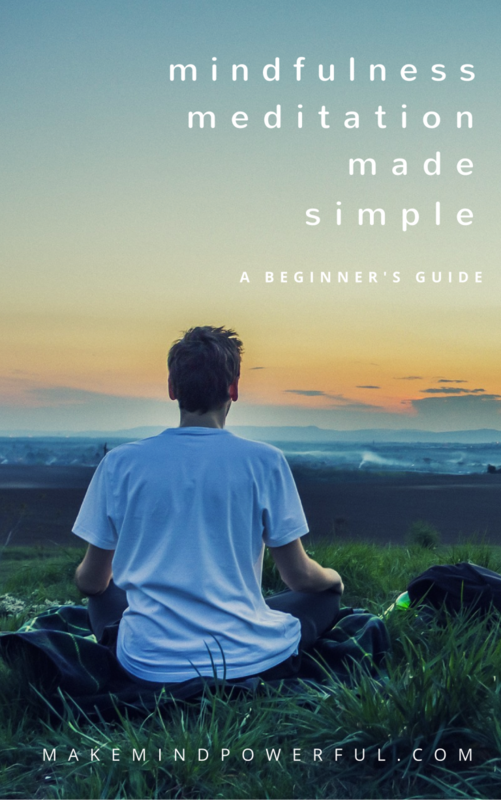 As the CFU per serving is rated at 4 billion, you will need to increase the dosage to 3 servings per day, if you’re using it to reduce chronic stress. You’ll gradually feel less affected by negative thoughts as the stress hormone is reduced in your body. Improve gastrointestinal and mental health. Easy to swallow pearl form. 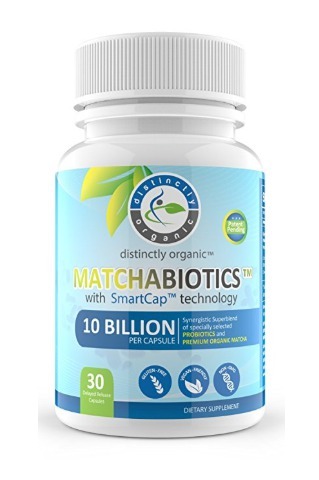 These probiotic capsules do not only contain a high concentration of living cultures, but they are ensured to bypass the acid in your stomach and reach the large intestinal tract alive. This is thanks to the advanced patented technology of Hyperbiotics that causes the release of the microorganism after 8-10 hours. The formula is optimized to improve your digestive health. Besides the probiotic strains, kiwifruit powder is added to provide the extra boost for your gut health. Besides improving colon health, kiwifruit powder helps the good bacteria to colonize the intestinal tract. By taking a single capsule per day, your gut health will naturally regain its balance and symptoms like gas and bloating will cease. A healthier gut also increases the efficiency in nutrient absorption. It wouldn’t be surprising if you feel more energetic after incorporating probiotics into your diet. The probiotics are cultivated in Washington and packed in a GMP certified facility in Colorado. The quality is well-preserved by strict quality control procedures that conform with FDA-guidelines. Each bottle of probiotics delivered to you are non-GMO and additives free. Manufactured in GMP certified facility. May not be effective for some. The Matcha probiotics contain 10 billion CFU of premium strains to deliver the balance of bacterias in your gastrointestinal tract. It helps you to alleviate digestive issues and also enhance your mood. You’ll find that you’ll be able to focus better after taking probiotics. Each of the capsules is enhanced with the patented SMARTCAP™ technology to ensure the live cultures survive the acidity of the stomach and successfully colonize the gut. It is one of the most effective probiotics in the market. Besides reducing stress, the powerful broad spectrum of probiotics helps in increasing the metabolism naturally. This would eventually help in weight loss while staying energized. The capsules also contain a powerful antioxidant that prevents cellular damage. The probiotic capsules are gluten-free, allergen-free and non-GMO. They also contain matcha green tea powder that increases the production of feel-good hormone for anxiety and stress relief. The green tea powder also serves as an effective pre-biotic to help the colonization of the good bacterias. 10 billion CFU per capsule. Patented technology for time release. Green tea powder produces mood enhancement hormone. No effect for some buyers. Sometimes you wish for highly concentrated probiotic capsules instead of taking multiple lower strength ones. If that’s the case, the probiotics by DNA Shift may be your perfect choice. Each of the capsules contains 50 billion of live cultures, ready to populate your intestinal tract. The probiotics are made of 11 different strains encapsulated in veggie capsules. The potent formula ensures that the live cultures are delivered to your gut. They are perfect for both men and women who are concerned on their digestive and mental health. You’ll find that taking a single capsule a day on a long term basis helps you to combat chronic fatigue and stress. The improved digestion system helps you to convert food intake to energy with high efficiency. These highly potent probiotics is definitely a great remedy to manage anxiety. They are manufactured in USDA certified GMP facilities and tested by third parties to ensure the claims on the label is consistently accurate. Made from 11 distinctive probiotic strains. 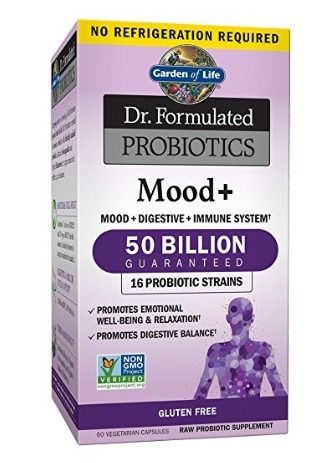 This mood-boosting probiotic features two highly effective strains for reducing anxiety, namely Bifidobacterium Infantis and Bifidobacterium Longum. Besides these two strains, there are other 7 types of bacterias that improves your immune system and digestive system. There are no enteric coating on these capsules as applying that includes a heating process that may damage the live cultures. The proper way to ensure the good bacterias reach and colonize your intestinal tract is to take the capsules with food. Each of the capsules also contains GOS, a prebiotic that is effective in reducing anxiety as well. This is arguably one of the most targeted probiotic supplements for reducing anxiety. If you’re constantly overwhelmed by anxious thoughts, you’ll see improvements by taking a capsule daily. No acid-resistance coating or time release. Some first-time consumers of probiotics may complain about symptoms of bloating, cramps or mild diarrhea when they first take the capsuled. Probiotics are a potent formula of live cultures and it is pretty normal to experience some mild side effects. The side effect will usually subside after a few days as your body adjusts to the increasing presence of good bacteria. I hope you found this list of best probiotics for anxiety useful. Do share with me your favorite brand of probiotics supplement in the comment below.